TEEING OFF: Six Foresters make up HU’s first women’s golf team. Their first home match will take place Oct. 3. 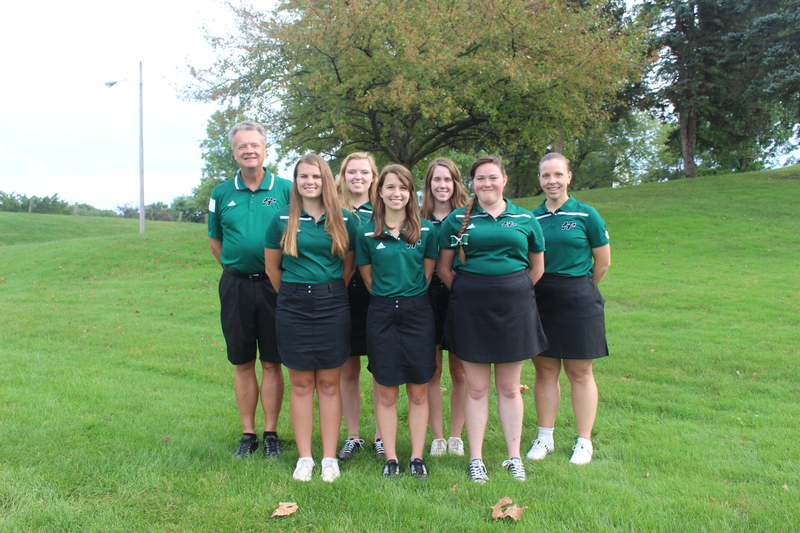 Web blurb: The Forester golfers are teeing off their inaugural season under the direction of Pete Schownir. Standout freshman Abby Poole has lead her team in each of its first three competitions. For the first time in HU athletic history, Lady Foresters are teeing off on the golf course. Coach Pete Schownir has recruited five freshman and one senior to represent HU in the program’s inaugural season. The team began its season Sept. 5 at the Indiana Wesleyan University Fall Invitational, where freshman Abby Poole stood out from the competition. Poole finished ninth of 70 golfers by shooting a 162. Senior captain Hannah Lochner claimed 58th place with a respectable 203. Poole once again led the Foresters by scoring a 170 in harsh weather conditions Sept. 12 at Bethel College. HU outscored Judson University and Trinity Christian College to claim 12th out of 14 teams. Although the team’s hard work has not yet equated to top finishing performances, freshman Sara Scott said she’s optimistic for the future. Poole continued to perform at the Grace Lancers Invitation Sept. 16 by posting an 80. Her performance earned her a spot on the All-Tournament Team. Coach Pete Schownir said he was pleased with the work of his team so far. The Foresters’ final match of the fall season will tee-off at Norwood Golf Course in Huntington at 1 p.m.